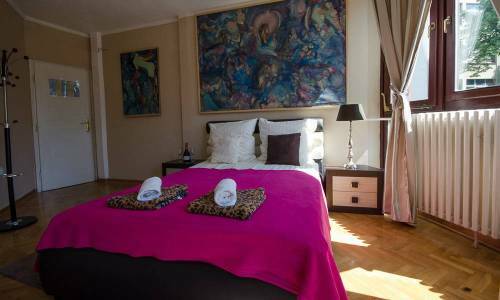 Apartment Dorćol 3 is located, as the name suggests, in the area of Dorćol, and more specifically, in Visokog Stevana street. The apartment was refurbished and engaged in renting in May 2015. 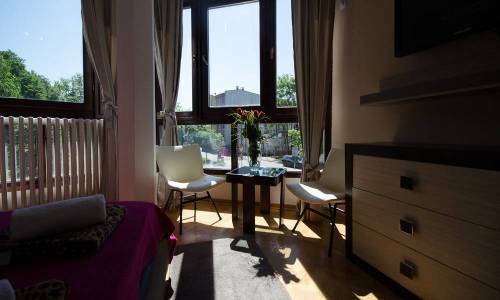 Only 10 minutes of light stroll will take you to Knez Mihailova Street, and a famous Strahinjica Bana street (the so-called Silicone Valley) is a maximum 5 minutes away. The Danube quay is also only a couple of steps away. 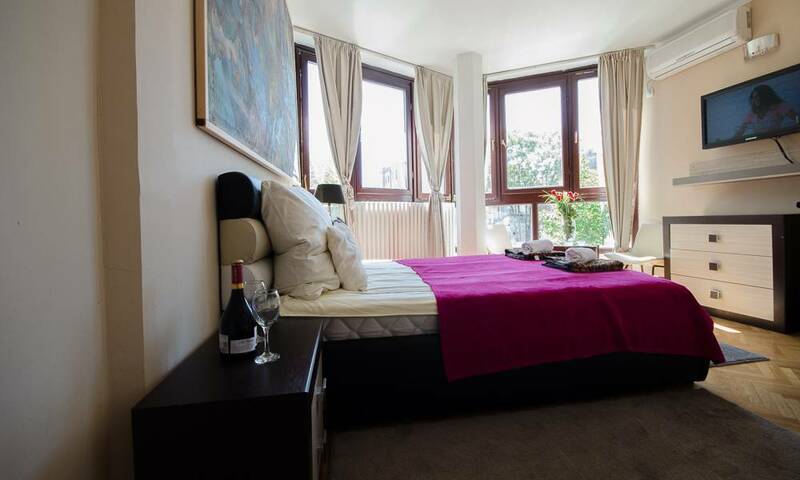 This studio apartment is intended for 2 persons, and has the concept of a hotel room. Although with the area of only 20m2, the apartment has all you need - a comfortable double bed 160x200, a kitchenette, two lovely white chairs and a nice chest of drawers, a small but new and functional bathroom, and a large LCD TV. There is plenty of glass areas, so the natural light is present in great amounts. The drapers let you set the amount of light as you wish. The advantages of apartment Dorćol 3 are its good location and very affordable price. This well furbished apartment of 20m2 in the city centre can be yours for 30 eur/night, or less if rented for 4+ nights.